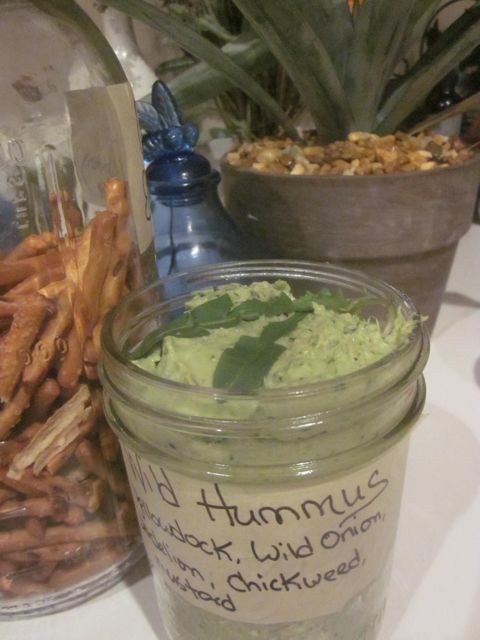 Sheri's Wild Hummus from our Spring Fling! 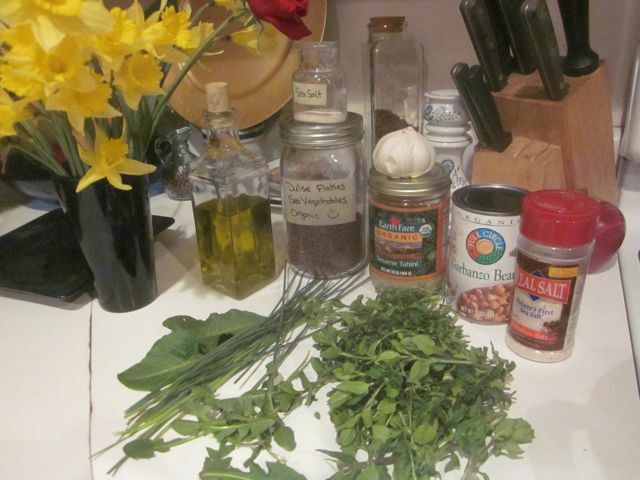 Chickweed is such a delightful early Spring green. 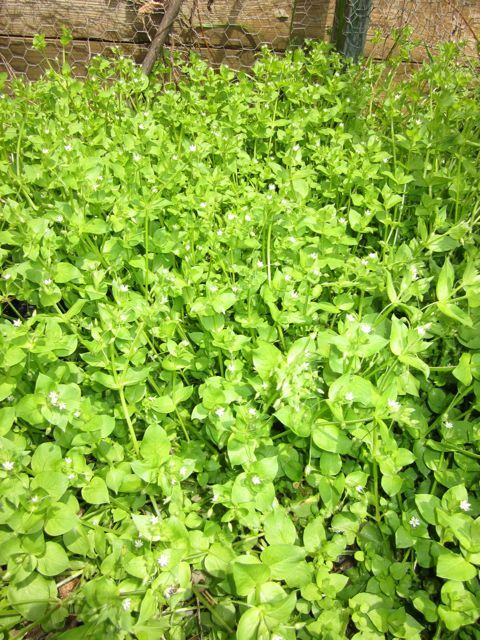 It like cold weather and thrives in rich soils. It feels velvety rich when it is at the peak of it’s green energy. In the Summer it goes to seed but reseeds again in the Fall and can even be found under the snow! Here is a patch in my compost bin! In a blender, chop the garlic. 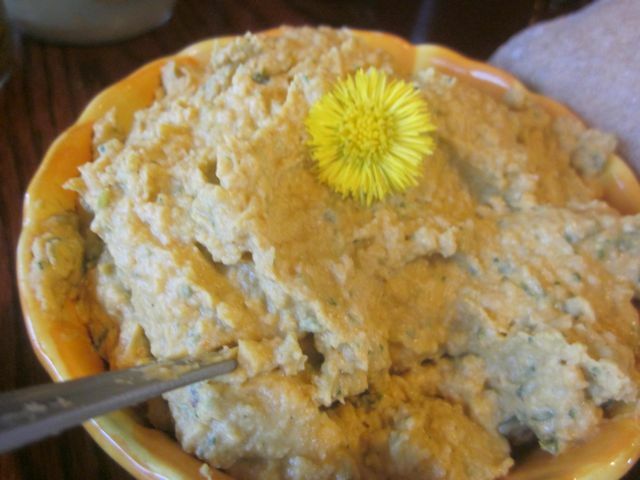 Pour garbanzo beans into blender, reserving about a tablespoon for garnish. 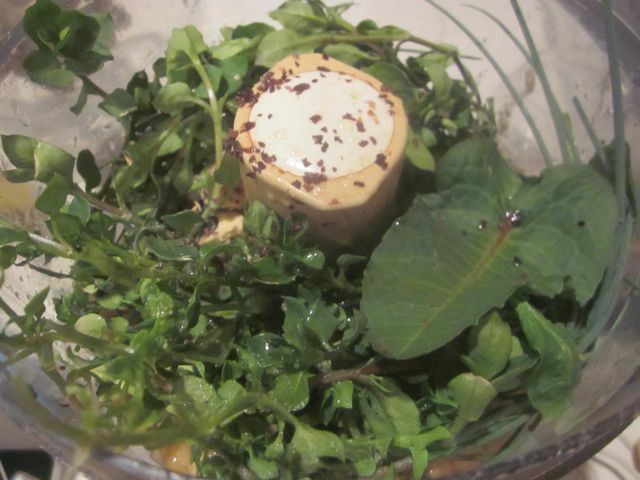 Place lemon juice, tahini, chopped garlic and salt and Lambs Quarter in blender. Blend until creamy and well mixed. 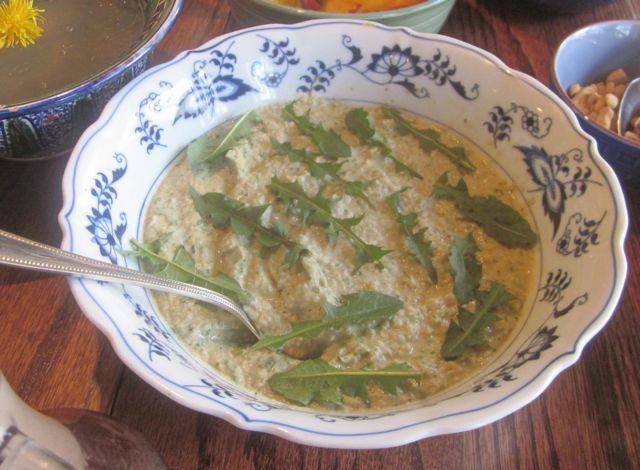 Lambs Quarter is one of the highest plants in protein! it is a great source for beta carotene, high in calcium, rich in potassium, B vitamin complex, Vitamin C and fiber. Also one of the plants richest in folic acid.